My name is Andrew Blount, M.D. 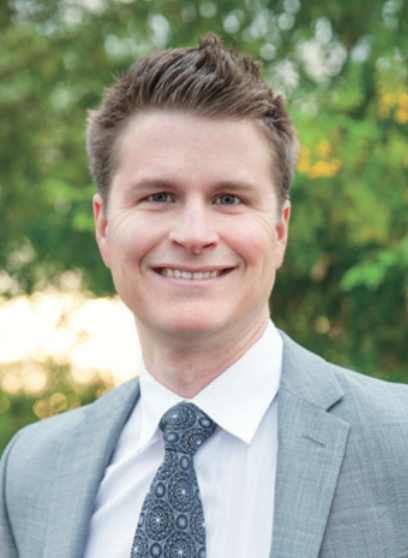 I'm a Plastic, Hand and Reconstructive Surgeon in Phoenix, AZ. I work at St. Joe's Hospital for Dignity Health. If you'd like an appointment, please call 602.406.2663. I am truly lucky that my passions in life led me to surgery. Since college, I've been active in teaching. Back then, I was involved in music education, and still participate in marching band instruction weekly. Teaching has been one of the greatest joys of my surgical career. I teach residents and fellows in valley orthopedic and hand programs. I am also truly passionate about my patients. I have special focus in nerve disorders, and caring for the needs of patients with these troubling problems. I treat patients with brachial plexopathy, diabetic peripheral neuropathy, nerve compression and nerve trauma. I truly feel with our multidisciplinary team that we are set up to provide the best patient care.